A fireplace mantel is an important focal point for a room. Impact Design Resources wants to help you make the most of this statement piece. 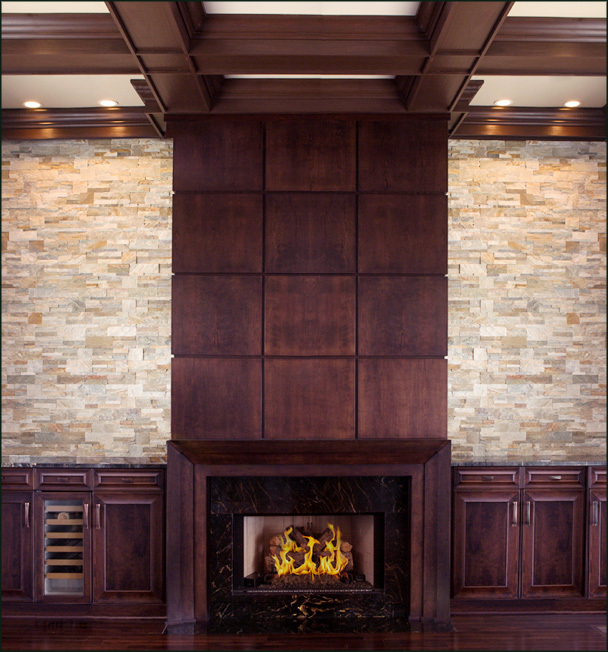 We offer custom-made mantels with design options to suit most any style – be it traditional, formal, rustic, casual, or contemporary – we can accommodate. Every mantel is precision engineered using computerized drawings, assembled in our factory per order, and delivered to your home ready for installation by our experienced team. Many wood species and interesting styles are available. Often we need to consider the whole wall in our design, not just the mantel. You may want to consider an overmantel for added drama and customization, designed to compliment the mantel legs. Is there a storage opportunity to right and left of the mantel in a style consistent with your home? We would love to help you design the perfect product this focal point deserves.